The Marta Hewett Gallery was established in 1990. The original location was at 1209 Main Street, the first fine art gallery in historic Over-the-Rhine. The Gallery is now located in the Pendleton Art Center, also in OTR. 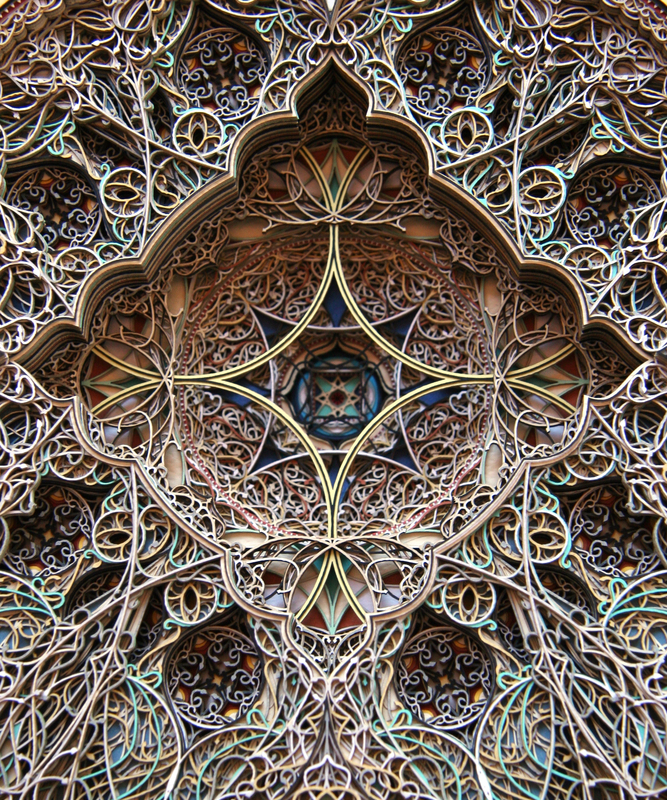 This morning, it is presenting Eric Standley as its second speaker in its Art and Soul lecture series. More details are available via this news release. Mr. Standley, who has developed an innovative technique with cut paper, will discuss his particular perceptions and working methods. 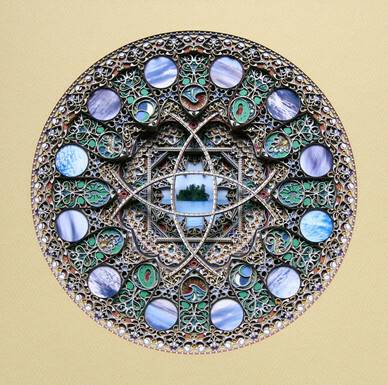 “Either/Or: Ornament and Obsession,” a lecture by Eric Standley, is $10/person and will take place on Saturday, March 10, at 10:30 a.m. All proceeds will benefit the Cincinnati Arts and Technology Center (CATC). Refreshments provided. Marta Hewett Gallery is located at 1310 Pendleton St., downtown at Pendleton Art Center. Free parking is available. Seating is limited. 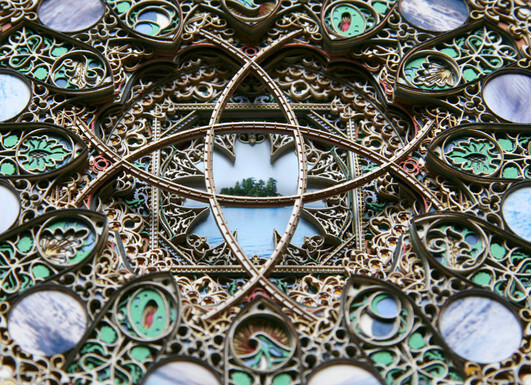 Eric Standley’s mandala-like drawings are cut from separate sheets of paper using a CNC laser. A particular pattern on one sheet of paper may take two hours to cut using the laser program. Cut patterns on each sheet of paper are designed in order to reveal the color, line and shape below once the sheets are stacked. The physical depth of these drawings range from 1” to 3” and incorporate hundreds of sheets of paper. Standley developed this method of drawing over a two year period and continues to elaborate on the process made possible by laser technology today.